The Article Countdown Nag displays a popup that let’s the reader know how many free articles/posts they have left before they need to subscribe. 1. 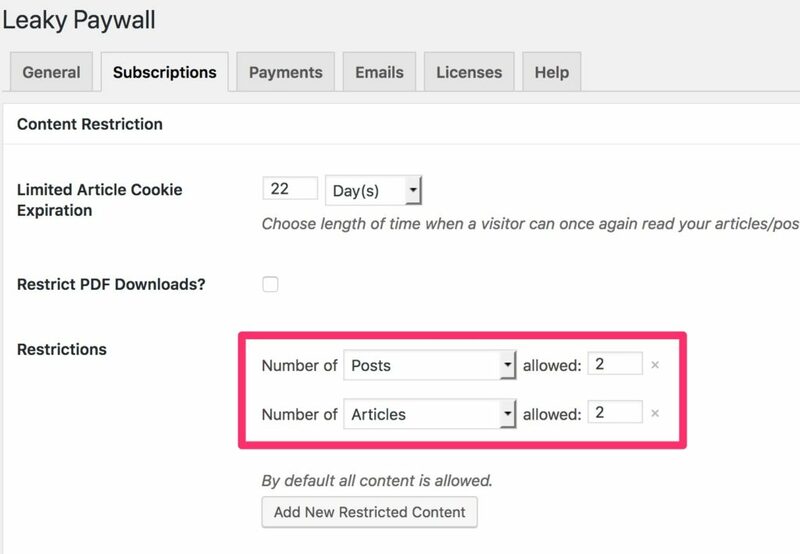 Go to Leaky Paywall > Settings > General > Article Countdown Nag in your WordPress admin. 2. Enter the number of content views a user has to read before the popup nag displays. These content views only apply to custom post types that are set to restricted in your Leaky Paywall Content Restriction settings. 3. Select your Nag display theme, whether default or slim. 4. Choose to show the zero remaining popup over the top of the page when the content limit has been reached.